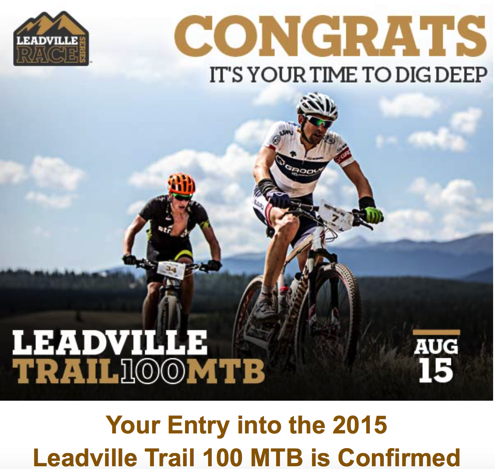 Yep, I’m in for my eighteenth Leadville. Nineteenth, if you count 2009, the year I crashed out of the race. By the way, you should not count that one. 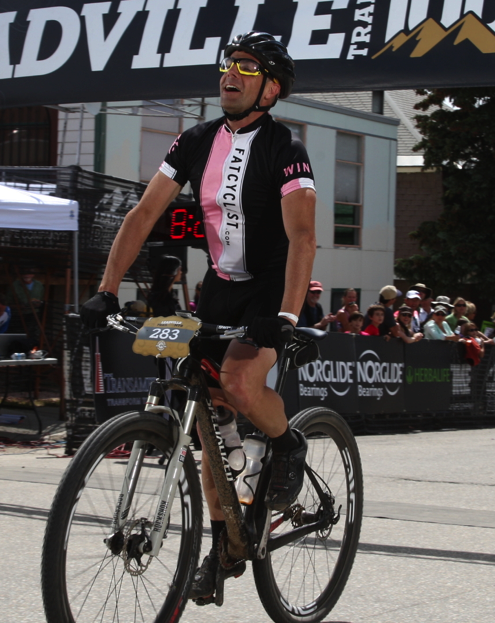 Nor should you count 2015, until late in the afternoon this August 15th, when—provided everything goes well that day—I’ll have actually finished my eighteenth Leadville 100. In other words, while it’s really tempting for me to talk about this as my nineteenth Leadville Trail 100, the reality is I’ve finished it only seventeen times. Still, that’s more finishes than most people. And it’s quite a few stories. For those of you who want to start getting worked up about the Leadville 100 or are interested in what eighteen years of stories about the same race (yes, eighteen, because I definitely have a story for the year I didn’t complete), here’s a handy list: all of my Leadville 100 write-ups, linked from one place. I hope you didn’t have any other plans for the weekend. 1997, 10:35:54 – Finish 1: My first racing of the Leadville 100 is worth reading primarily because it’s such a normal first-time story. If you’re planning on racing the Leadville 100 and are wondering if it’s weird that you’re already thinking about it all the time, read this. Nowadays I read this installment both with fondness and with astonishment at how little I knew about racing. 1998, 11:27:05 – Finish 2: I like this story more because it’s a telling of how two of my best friends—Dug and Bob—and I did the race, from each of our points of view. It has a great ending. 1999, 9:13:09 – Finish 3: For a long time, my third attempt was my fastest. Just thirteen minutes shy of that big buckle. Far from it being an accomplishment of which I was proud, though, I remember getting away from the finish line as fast as I could, making my way to my car, and just sobbing for about five minutes. I had come so close to hitting my objective, which hurt a lot more than if I’d have missed it by an hour, somehow. Unfortunately, I either did not write this story up, or can’t find it. Regardless, it’s gone now. 2000, 9:30:29 – Finish 4: I came to Leadville this year with the intention of getting that sub-9-hour finish, and then it rained. Hard. This is the year everyone talks about when they describe how difficult Leadville can be. I wrote my story for Active.com, so you’ll find it here. As a bonus, this was the year The Hammer raced Leadville 100 for the first time. It just about killed her, and her story is definitely worth reading. 2001, 9:17:02 – Finish 5: This year starts establishing my pattern of not quite hitting my goal of finishing in under nine hours. This is back before I had a blog where I wrote everything that happens to me, and thus…I have no individual memory of this race. 2002, 10:20:37 – Finish 6: I learned the “non-contributing weight” axiom of the Leadville 100: Every non-contributing pound you carry costs you five minutes. I was riding a full suspension bike, had gained some weight, and had not trained like I should. I am going to cut my past self some slack, however, because I was the father of infant twins. 2003, 9:20:04 – Finish 7: I learned that one can drink only so much Gatorade. About 3/4 of the way through the race I got nauseous and started barfing anytime I tried to eat or drink anything. I blame the Gatorade, probably without reason. If I hadn’t gotten sick toward the end of the race, this might’ve been the year I got that sub-9 I’d wanted so badly. No write-up on this year. 2004, 10:56:33 – Finish 8: I learned that just finishing can be a victory. This was while my life was pretty much completely insane and I had not trained at all. So I went to Leadville just to have fun and see my friends. And you know what? It was a great ride/race. I talked with a lot of people who — like me — just wanted to finish. The support and cameraderie at the back of the pack is much stronger than at the front. These racers are the heart of mountain biking. 2005, 9:41:20 – Finish 9: I had just begun doing some freelancing for Cyclingnews.com, so asked them if they’d be interested in a story where I interview folks as I rode alongside them on the course. This turned out to be a great idea; I had a terrific race. My story is here, and you can find the two-part story I wrote for CyclingNews here: Part 1, and Part 2. 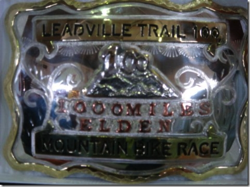 2006, 10:06:45 – Finish 10: This was my tenth year racing the Leadville 100. I had a grand plan to finish it in under nine hours. Wouldn’t that be dramatic, to hit my goal the same year I got my coveted 1000-mile buckle? Yes, it would have been dramatic. Unfortunately, I finished this race in over ten hours. This is a telling of how you can delude yourself into thinking you’re really fast…only to find out the reality at game time. Part 4: I Can Do It! I Can Do It!…No, I Can’t. Part 5: Susan’s story of what it’s like to crew for me during a break from chemo. 2008, 10:06:42 (singlespeed) – Finish 12: 2008 was the first year I tried racing on a singlespeed. Since I knew I wasn’t going to finish in under nine hours on a single, I was released from the stress of a goal that seemed—at the time—unattainable, and was able to just enjoy the race. This was also the year I nearly got crashed out of the race ten seconds into it. 2009, DNF (singlespeed): Susan had died just before this race. My head wasn’t in the race. I was riding angry and stupid. The fast downhill pavement turned; I didn’t. Honestly, I do not understand how I managed to not be seriously injured. 2010, 9:17:27 (singlespeed) - Finish 13: With a 9:17 on a singlespeed, this was the year where it occurred to me that the sub-nine-hour finish might not be an impossible dream for me after all. This is the year I appeared (starred, really) in Race Across The Sky, by the way. I was brilliant, by all accounts. Part 2: The joys of eating cantaloupe at 12,600 feet. And the horror of even consdering a hotdog at that selfsame altitude. 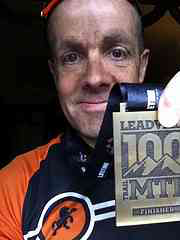 2011, 8:18:19 – Finish 14: To date, this is my high-water mark for racing the Leadville 100. This is the year I kind of figured everything out: the training, the right kind of bike, how much (and whe n) to eat, how long of breaks to take…everything. I finished well under my goal of nine hours, and Specialized rewarded me by letting me keep what had been, up to that point, a long-term test bike. Wow. Part 1: For the first time ever, I get to write a list of things I did right. Part 2: As it turns out, geared bikes are faster than singlespeeds. Shocker! Part 3: If you’re fast enough, you get to spend the day riding with people who are genuinely fast, but having a bad day. And they love telling you about it. 2012, 8:49:47 (singlespeed, first place) – Finish 15: If you train really hard and all the right people fail to show up, it’s possible to win the men’s singlespeed division at Leadville with a time of 8:49. The fact is, though, I’m really proud of this finish time, because following this race (literally the next day) I was racing The Breck Epic for six days. Part 2: You want rules? I’ll give you rules. Part 3: Headwind from Hell. 2013, 8:23:54 (singlespeed) – Finish 16: I took a different tack in this report. Instead of talking about my race (my fastest singlespeed finish, but not fast enough to get me on the podium), I talked about why I love this race. Part 3: Some things are life-changing. Other things aren’t but are still pretty awesome. 2014, 8:39:38 (singlespeed) - Finish 17: My race report from last year is worth reading, but the real star of 2014 is The Hammer and her adventure racing with MTB Legend Rebecca Rusch. Here are the links to both stories. I’m just going to be lazy here and post the links. PS: So this is a weird idea, but would it be interesting to have these stories available as a podcast series? Something to listen to as you’re driving to work or putting time in on the rollers? Yesterday I got the opposite email. How about staying home next year and giving the rest of us a better shot at the lottery? I’m not bitter or anything, not even a little. Really. Congrats! I also got the opposite email. I’m starting to think they just don’t want me there! Please, please, pretty please a podcast! Listening to them would make work a thousand times better. Until they start letting me “work” by just riding my bike for fun. Marshmallow gets it! I’d love to hear these stories while I’m out riding! I’ve got my ‘reading orders’, and based on yesterday’s 15% hill climb, I’ve got a LOT OF WORK to do! I would love a podcast on this subject alone. I was just thinking about this while I was reading the Great Fatsby. Are you part of the random “Pool”, or do you auto qualify based on who you are/what you do, kind of like a Pro? I personally think that you should automaticly get in. You are GREAT PR for the race and you bring the experience to a bunch of folks that will never ride it. Can you get Stanley Tucci to read them? I am sure that many people catch the Leadville bug through this blog but it went the other way for me. I started looking into epic mountain bike races, watched the first ‘Race Across the Sky’ and was hooked. I wanted to learn everything I could about the Leadville 100 and a google search for race reports brought me here. Nice bonus I learned a lot about the race, and I found a blog that has brought me hours of enjoyable reading. Fatty I concur with your comment about how the back of the pack is different than the front. This past year I volunteered at the race and worked traffic control on race day I stopped cars at the top of the boulevard where riders leave gravel behind for good. I was blown away by everyone’s great attitude, but it seemed every rider who was going to finish after 10hr took time to say thank you to me. I was amazed by the graciousness of people who had been through so much, cyclists are a great group of people. Not that those who finished faster aren’t great. I just suspect that going so fast takes so much concentration and effort needed tunnel vision forms. Congratulations! I also received the opposite email. This is the 5th year for that email. However, I am not bitter at all. Bummed, yes; bitter, no. You deserve it…as do all who have completed the race more than 6 times. You were there in the beginning, way before this was the “bucket list” race to do. In fact you and your blog (stories) are the only reasons I want to race Leadville. So go get your Sub – 8 race and give us another great report. It was actually only 3 of the BAD / opposite emails. 5 makes it look like I am bitter. How lovely to read Susan’s account of crewing for you. Along with many of the other friends of Fatty I too received the opposite email. I hope one of these years I will be able to join you in Leadville. 6th time in the lottery and still no joy. I still enjoy and learn quite a bit from your posts on LT100. I applied for the first time this year, after being inspired by the stories on this blog, but no joy. I really enjoy reading the stories – please keep them coming, and I’d love to hear them on the podcast! I hadn’t realized just how many times you’ve raced Leadville. It would be interesting to read your thoughts on how the race/sport has changed over the years. Love you Fatty but when are we going to get to hear the Hammer’s goals for 2015 including Leadville?? My boyfriend qualified for Leadville through the Barn Burner race here in AZ and got the coveted golden coin into Leadvillle! It is his first and he is racing singlespeed. I will be his support crew. He is loving every one of your stories. This is his year, but I may try to qualify for 2016! I have to say that after watching “Race Across the Sky”, I too got intrigued about Leadville and found your blog while researching the race. I did the race twice (had to come back a second time so I could actually finish the darn thing. I would love to go back again. Reading your posts about the race made me wish I had entered the lottery again. Oh well, maybe another year. This summer it’s going to be the SmokeNFire race in Idaho in September. http://smokenfire420.wordpress.com Looks like a fun ride/race. And I agree, the back of the pack in Leadville is a great place to race. Everybody helps inspire and motivate and congratulate each other. Fun to read your first Leadville report…. 19?! You, my friend, are truly a beast. Yes, yes, yes to podcast!!! I actually and really-really (my personal trainer can verify this) read and re-read your race reports when I’m (gods forbid) on the treadmill at the gym or stuck on rollers. My favorites are IronFatty, Salt-to-Saint, and any of the Rockwell Relays because they’re good and long, and can get me through a longer treadmill session. Have you heard from enough of us that got the opposite email? Just curious. I love the conglomeration of Leadville stories. It would be great to have this type of things for all of the rides- Crushar, Rockwell, etc. I like reading them back to back and this makes it really easy.